Travel through time by hiking through the most kaleidoscopic and challenging sections of the Great Wall! The great wall hiking small group tour begins at Jiankou, where the Great Wall is weathered and vertiginous and ends at Mutianyu which has the most renovated and modern sections of the Wall. 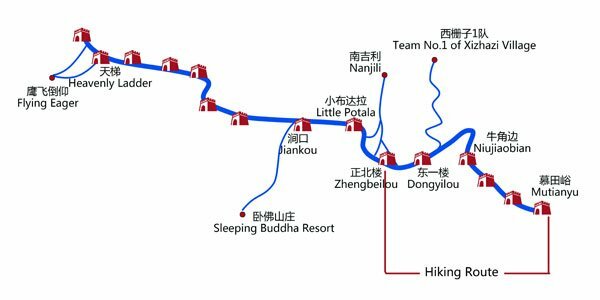 The Jiankou to Mutianyu hike is a six mile (10km) journey through history which will take you around 5 hours to complete. Photographers and tourists are crazy about the Jiankou Great Wall tour as it includes the most picturesque sections of the Wall. 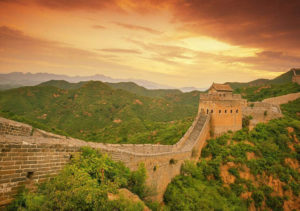 Whereas the Mutianyu Great Wall tour includes parts of the wall which are popular amongst hikers and tourists for their amazing and beautiful scenery! 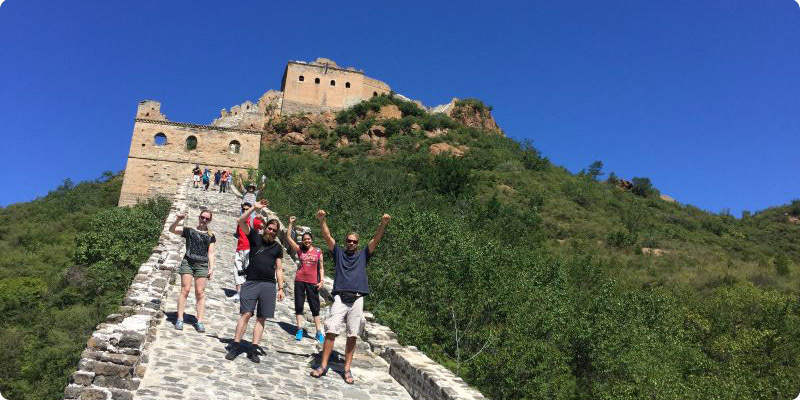 The stark differences between the condition and scenery surrounding the Great Wall on the Jiankou to Mutianyu Great Wall Hike will make your hiking experience quite exhilarating and memorable! Bring out the adventurer inside you to hike the steepest and wildest section of the Great Wall included in the Jiankou Great Wall Tour. Experience the grandeur of the renovated section of the Great Wall at Mutianyu which has been restored to its former glory. Hike through time from the oldest, weathered sections of the wall to the most modern, renovated section. Enjoy a unique and pleasant hiking experience under the guidance of an expert and professional cicerone. Guides: High trained, friendly guides who are proficient in English will enrich and enhance your experience of the Beijing Tour. Drivers: Experienced, licensed drivers with at least 5 years’ of driving experience under their belt to ensure safe and comfortable rides. Vehicles: Air-conditioned business cars which are spacious, have large windows for better viewing, and include a GPS system. Customer Service: China Small Group Tours’ office in Beijing provides around the clock customer service, back up support and guidance. Your guide will meet you between 7:00 – 7:30 AM in the lobby of your hotel. 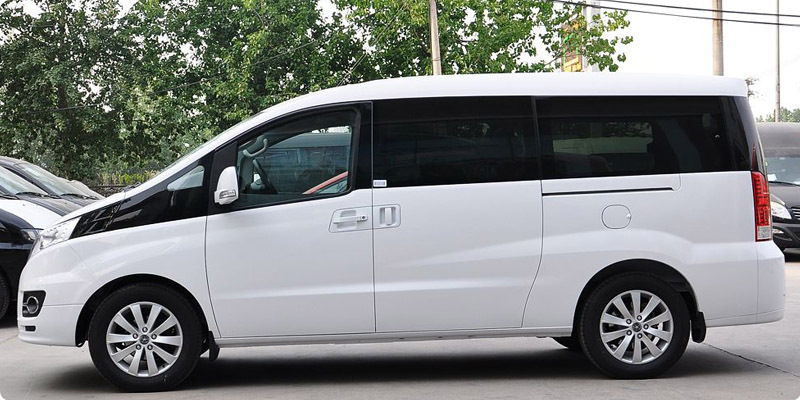 You will leave for the Jiankou Great Wall Tour in our vehicle. This journey will take around 2- 2 ½ hours. Jiankou is situated near Badahe Village in the suburbs of Beijing. 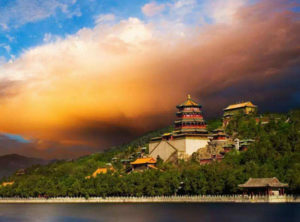 You are advised to know particulars about your tour guide and driver and the pickup time, a day before your Beijing tour, by visiting the following site: https://www.ChinaSmallGroupTours.com/track-your-trip.html. In case, you cannot access the information, contact your tripadvisor for assistance. Wearing comfortable and sturdy hiking shoes is compulsory. Walk through the Xizhazi Village and hike up the mountain path to Zhengbei Watch Tower. Your guide will pay 5 yaun to the farmer maintained ladder which will allow you to go up the Zhengbei Watch Tower. After climbing the tallest watch tower at Jiankou, you will walk down the old, untouched part of the Great Wall. Reach the Mutianyu visitor’s gate from where you will hike the renovated section of the Great Wall which begins at the 23rd watch tower and ends at the 10th. After hiking the Great Wall, we will head towards Xinshuangquan –a wells selected local restaurant where you can enjoy authentic and scrumptious local cuisine in typical Beijing style. The ferry bus will take you to the foot of the Great Wall followed by a five minute walk to the parking lot, where our vehicle would be waiting to drive you back to your hotel. The peak season refers to the following dates: 29/Apr/2017 – 01/May/2017, 01/Oct/2017 – 08/Oct/2017, 30/Dec/2017 – 01/Jan/2018, 15/Feb/2018 – 22/Feb/2018. Other dates are referred to as shoulder season. The Beijing tour is available every Monday, Wednesday and Friday, with guaranteed departure. Due to the cold weather, the Beijing tour might not be available from November 15, 2017 till February 13, 2018. 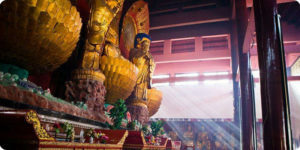 Our Beijing small group tour consists of a maximum of 6 people, ensuring better service. We don’t recommend taking babies and toddlers under the age of 12 to the Jiankou to Mutianyu Great Wall Hike as it quite dangerous and requires stamina and focus. 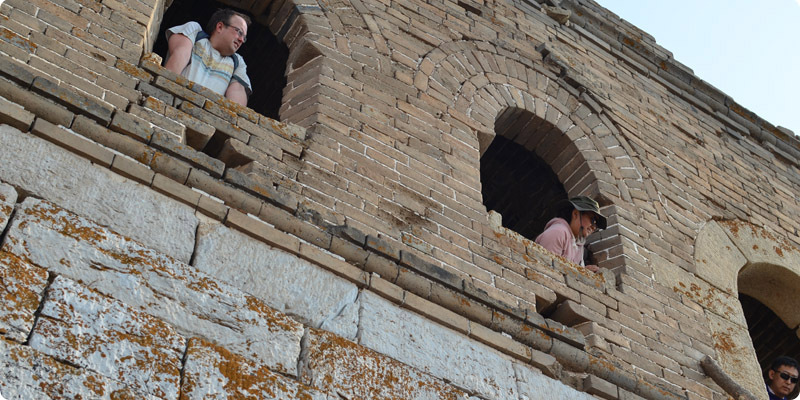 Snacks and drinking water on the Great Wall during your Beijing tour. Usually between 60 to 100 CNY per day. You are not obliged to pay the driver and tour guide but if you are tipping them, please tip them separately. In case China Small Group Tours fails to fulfil its contractual obligations due to calamities such as floods, cyclones, storms, earthquakes, war or any other situation which the company is not able to foresee, predict and avoid, the company will inform its customer at the earliest, and offer the best possible solutions. We will only charge you for the services we actually provide to you. If you decided to cancel your tour seven days prior to departure we shall refund 100% of the fees charged by us, excluding the cancellation penalties charged by third parties such as hotels, railways, airlines, and PayPal, if applicable. All such charges will be itemized. In case you cancel your Beijing tour when there are less than 7 days but more than 3 days left, we shall refund 90% of the amount, excluding the penalties enforced by third parties. No refunds if you cancel your Beijing small group tour within 3 days of departure. After the trip, China Small Group Tours would not entertain any refund requests for cancelled Beijing tours due to reasons such as non-participation, late arrival or missed days. For groups larger than 10 people, the terms for cancellation vary according to your case and situation. Please contact your travel advisor who will guide you regarding the cancellation policy for your group. How difficult is it for Jiankou to Mutianyu hike? 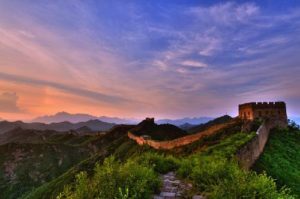 The Jiankou to Mutianyu great wall hike requires a certain amount of fitness and stamina to complete as the route is quite difficult to hike due to its steep, rugged and damaged condition. 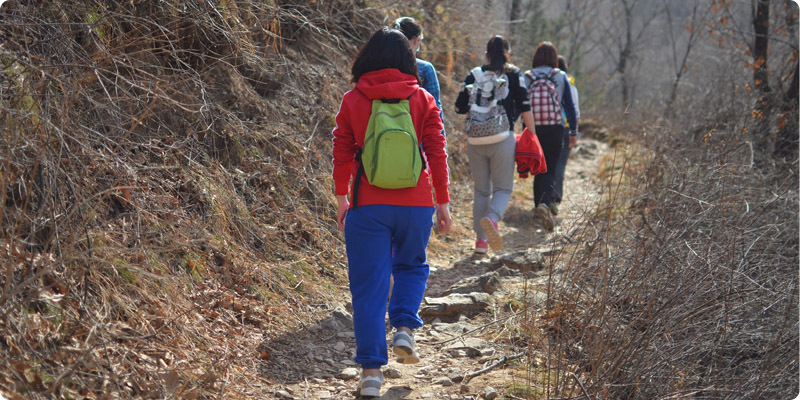 Beijing small group tour is more suitable for hikers with previous mountain climbing experience. Parents should consider the physical strength of their kids before taking them on the Jiankou Great Wall tour. The toughest part of the Beijing tour starts from Xizhazi Village and ends at the Zhengbeilou Watch Tower at the top of the mountain. It is important to keep looking at the Zhengbeilou Watch Tower, located at the mountain top to have sense of direction and avoid getting lost in the dense jungle. The first half of the hike is quite dangerous as parts of Great Wall in Jiankou are extremely weathered and have no steps at all. But under the guidance of our professional guides, and by using appropriate shoes and hiking equipment, you can hike through this rugged part of the wall safely. China Small Group Tours offers to pick and drop you from your hotel for no extra charges unless your hotel pickup or drop off location is beyond Beijing’s fourth ring road. In such as a case, extra charges may apply. Your travel advisor will notify you about the added costs accordingly. Our experience and professionalism makes us stand out! 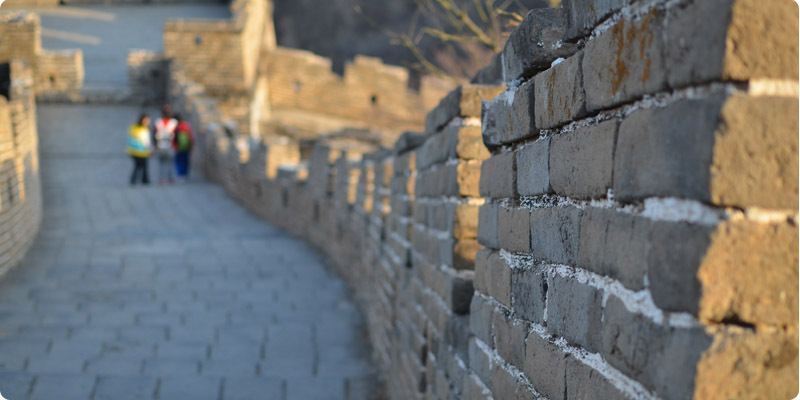 We have been organizing Beijing tours to all Great Wall hiking trails for over 8 years! Our experience has helped us provide all the relevant services you need to make your tour memorable. Our professional and highly-trained guides will accompany you throughout your trip to take care of you. Additionally, we have our service site at Jiankou to provide you ice-cool water free of costs, and to deal with any emergencies. China Small Group Tours is reliable and trustworthy! We provide good value for money, and avoid making commission-based shopping stops. With our office based in Beijing, we aim to provide high-quality service to every single person who takes a Beijing tour with us. Our 50 plus strong staff is constantly available to resolve any possible issues swiftly. Our office is located at Room 204, Building 8, Beijingxiangsu, Wuliqiao Erjie, Chaoyang District. In case of any emergency, you can contact your customer service helpline at +86-13910694045 which is available 24/7 to help you out.